Easter is just around the corner, and I am here to help you with this round-up of fun and delicious Easter desserts to make for your Easter celebrations this year. Some of these Easter dessert recipes scream “Easter,” and are decorated with Peeps or other Easter candies. Others are perfect springtime desserts to welcome Easter or just to celebrate warmer weather and rebirth after a long, cold winter. Whether you’re looking for Easter brunch desserts or desserts to serve after your main Easter meal, these fun and easy ideas are sure to please. 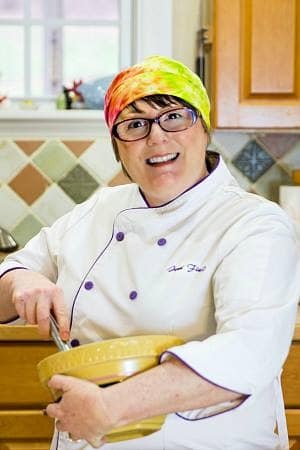 I can also hook you up with some wonderful Easter Bread Recipes too! 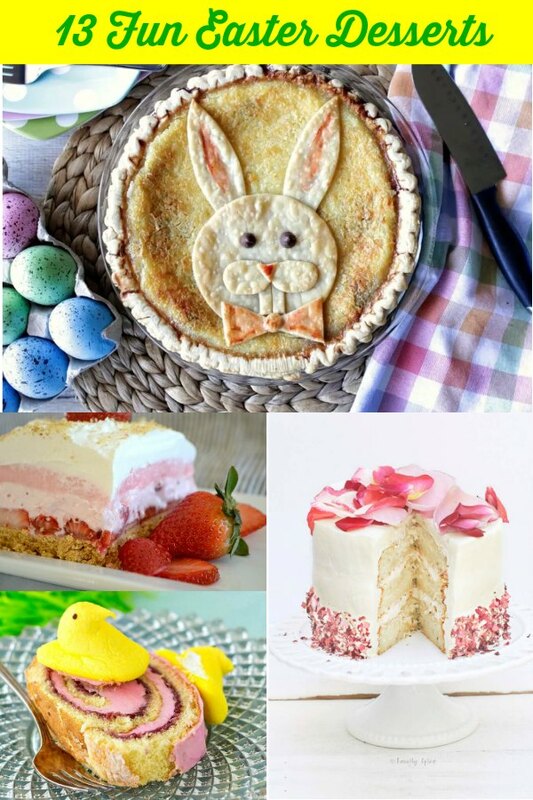 Fun and easy Easter dessert recipes and ideas to help you enjoy your Easter celebration from me and from some of my favorite blogging friends. Enjoy! 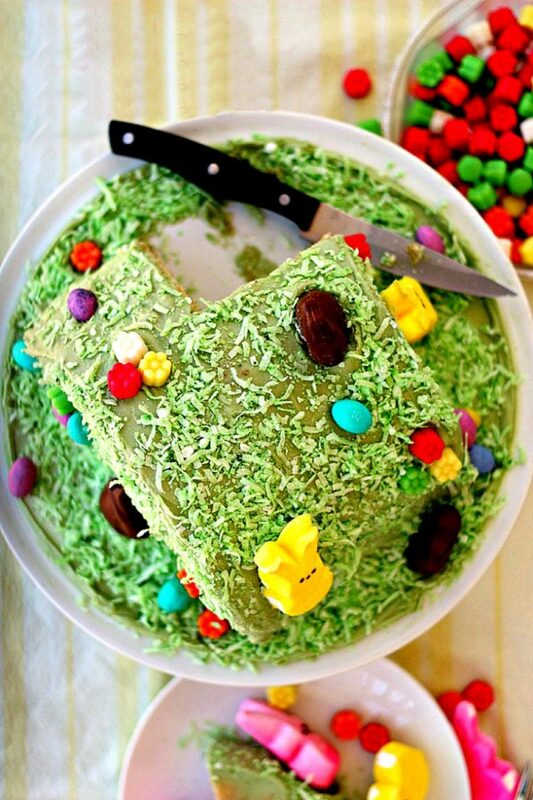 This Easter Bunny Hill Cake is the funnest. Make it with any kind of cake you like and use my easy decorating technique to turn a layer cake into a hill where bunnies frolic. This guy is a bit more advanced, but it's fun to make. 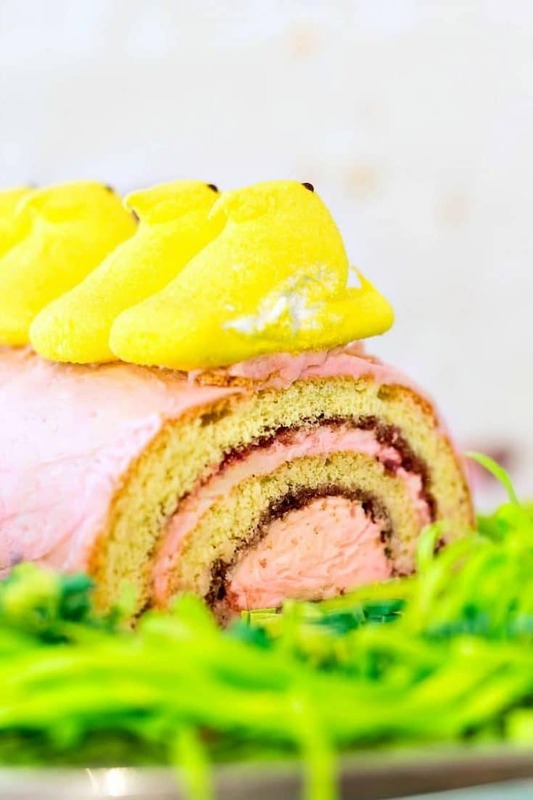 Melt down Peeps and cook them into a syrup, then you can turn them into a buttercream for an Easter jelly roll cake! 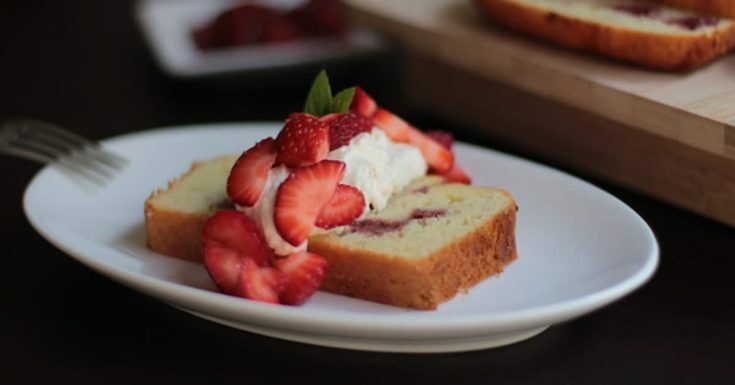 The perfect easy Easter dessert, this version of strawberry shortcake pairs roasted strawberries with an orange whipped cream. Perfect! 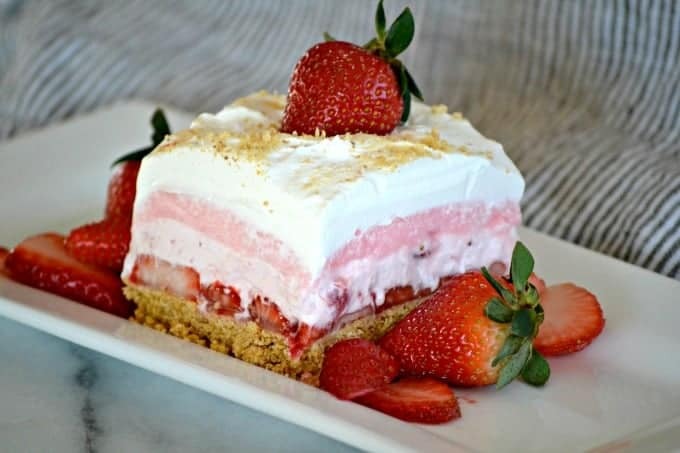 Layers of no-bake cheesecake and strawberry cream make a lovely and lighter ending to your Easter meal. 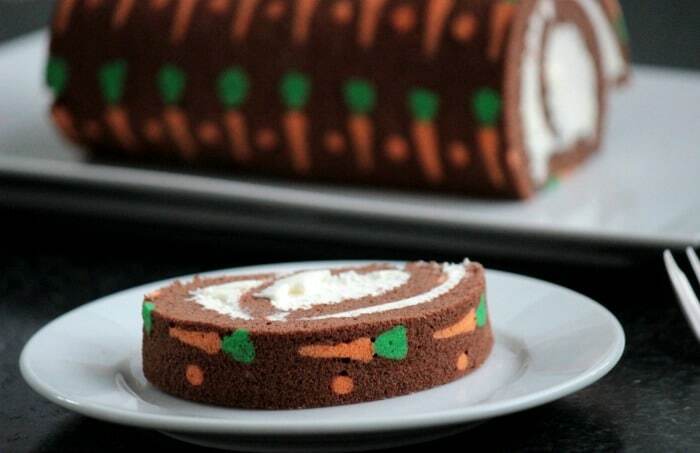 Learn the easy technique for decorating this chocolate Swiss roll with little carrots--or with any design you'd like! 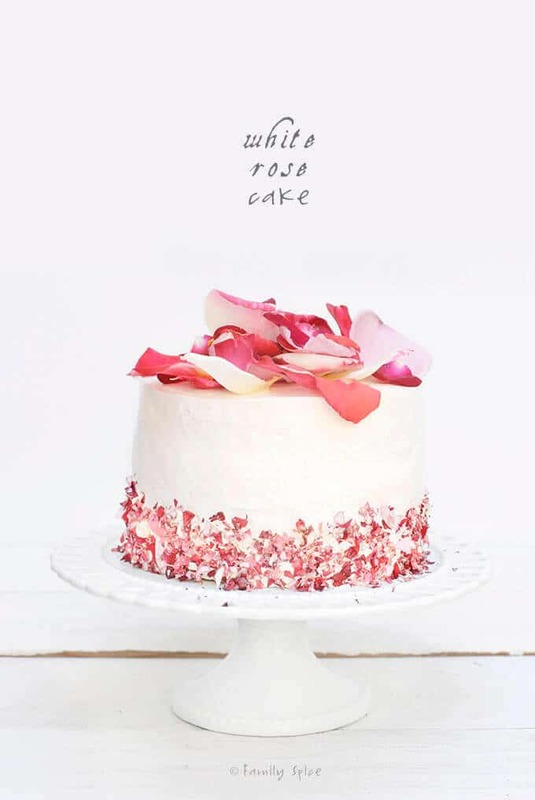 How gorgeous is this white rose cake?! A gorgeous dessert for Easter or for any springtime occasion. 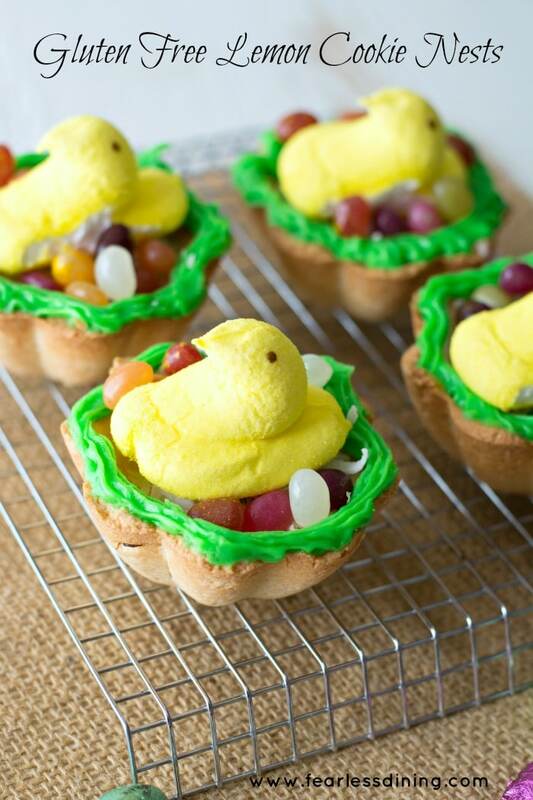 Peeps are pretty much synonymous with Easter, and these little gluten-free cookie nests are lemony and delightful. The perfect Easter pie, this coconut chocolate chip custard pie is decorated with the cutest Easter bunny face made from pie dough. Love him! 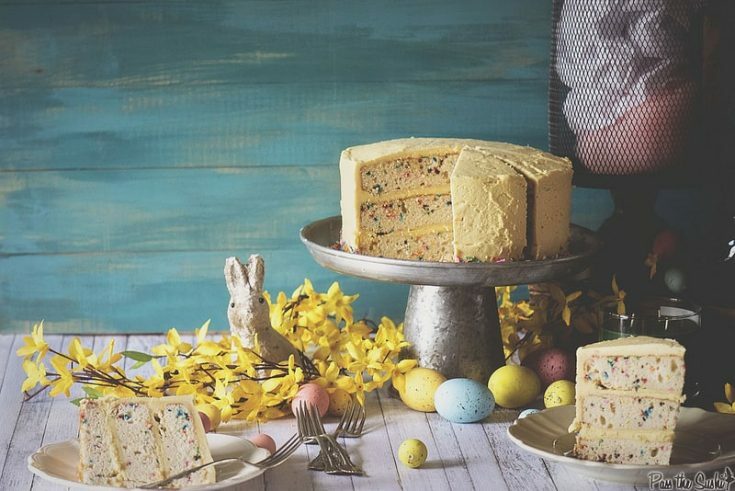 Multi-colored sprinkles swirl throughout this fun Easter dessert. Looking for super easy Easter dessert ideas? 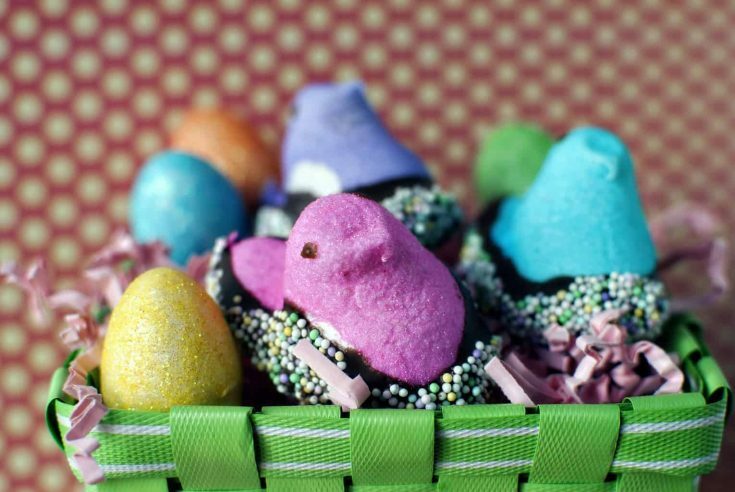 So many ways of using Peeps to make fun Easter treats for the kids or for the kid in you. 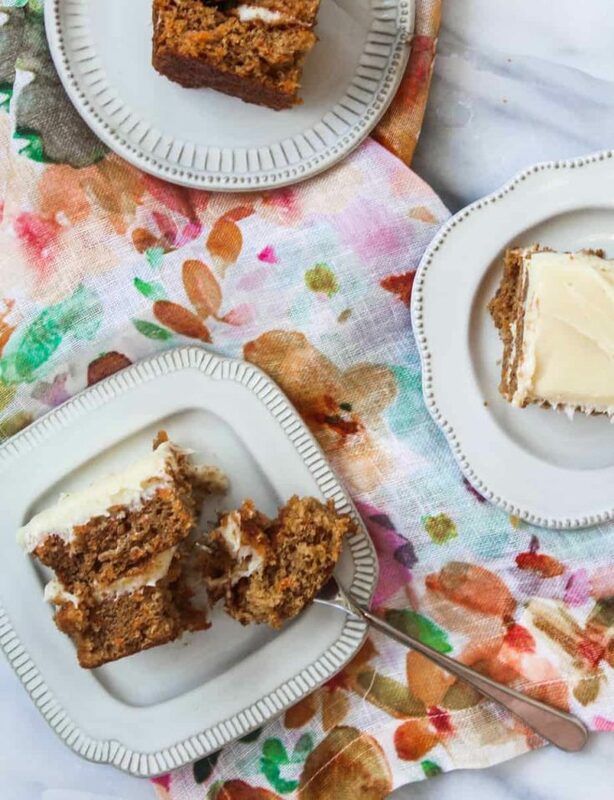 Because what's Easter without an awesome carrot cake? 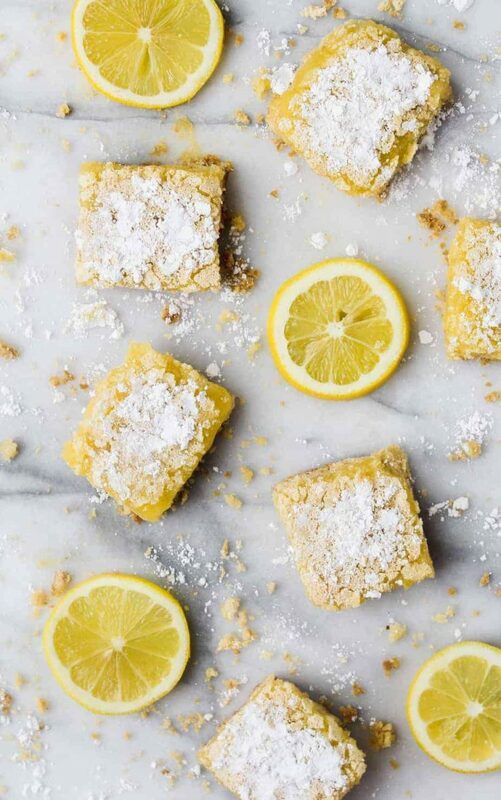 Lemon bars are pretty much perfect any time of year, but their sunny lemon color and sweet-tart flavor combination make a lovely addition to your Easter dessert table. 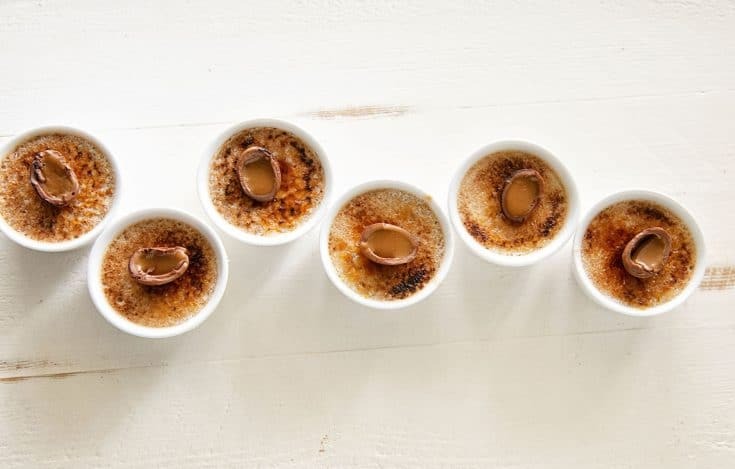 These decadent little cups are made with Cadbury Caramel eggs turned into rich custards topped with more caramel egg. Yum! 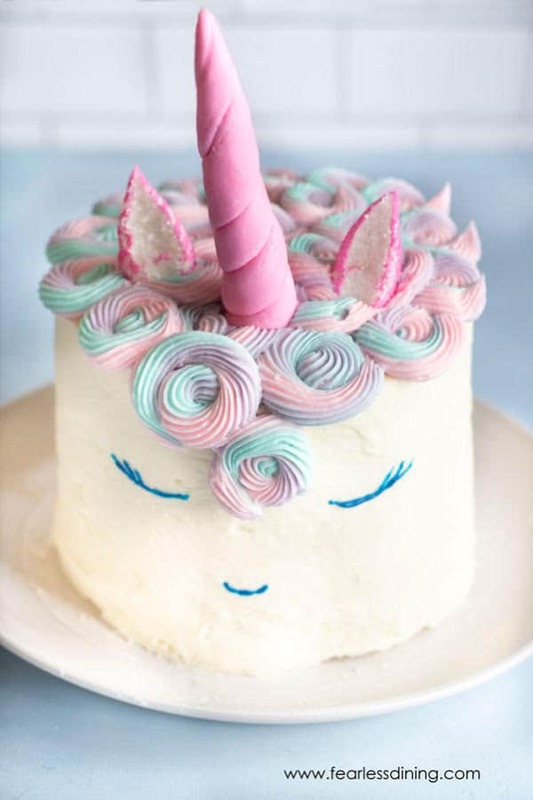 With ears and even his horn made out of Peeps, this gluten-free Unicorn cake is the perfect Easter Unicorn Cake! 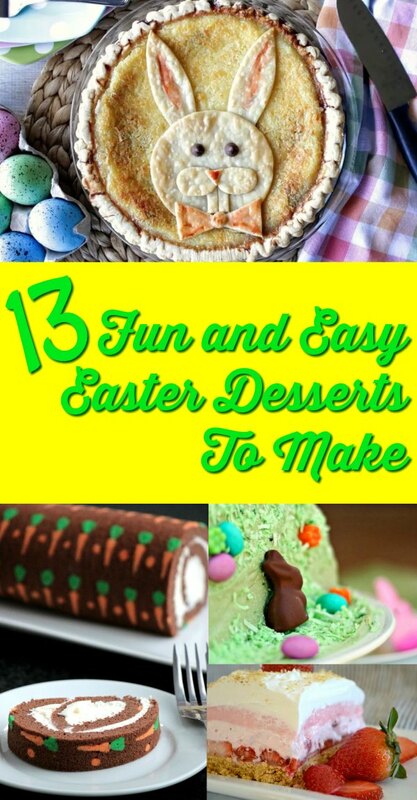 I hope you enjoy this fun round up of Easter desserts and Easter dessert ideas. 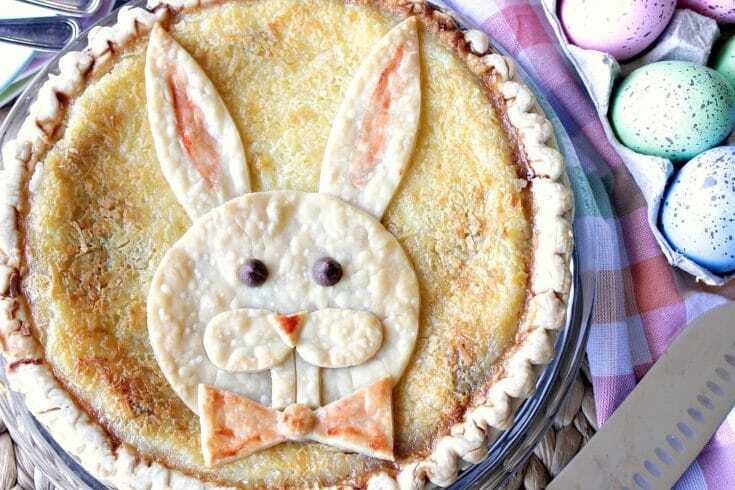 Thank you for including my Easter bunny pie! I’m excited to be a part of this delicious collection of desserts, and will share it over the land. Oh my goodness! There’s something for everyone in here. I almost fainted at that Cadbury Caramel Egg Creme Brûlée. So many options and they all look good. Ha! Right?! Isn’t that one so cool and decadent? !